Personal training is a fulfilling career, but you won't succeed unless you strive to improve every day. If you want to make your clients so happy that they will tell all their friends about you, check out these seven habits of highly successful personal trainers. What's the point of asking a young soccer mom to perform max lifts if her primary goal is fat loss? There isn't one, but a lot of personal trainers are guilty of projecting their own values onto their clients. Remove your ego from the equation. If an exercise doesn't meet your client's needs and goals, then it's a waste of time. Personal trainers should care about their health, but that doesn't mean they have to eat steamed broccoli every day. Everyone has a guilty pleasure or two (I'm a sucker for gummy worms if you're curious). Share little details like this with your clients. It's important for them to understand that the occasional indulgence won't hurt them as long as they make healthy decisions most of the time. 3. They walk the walk. If a mother tried to convince her children to stop eating so much sugar with a can of Coca-Cola in her hand, how effective do you think she would be? Not very. Those kids would laugh her out of the room! Don't expect people to take you very seriously if you don't follow your own advice. I'm not saying you have to be perfect, but you'll have an easier time finding clients if you walk the walk. Resist the temptation to lecture your clients. If you've ever been to a boring college class, you know your clients won't retain much information from a lengthy lecture. Instead, let them do the talking. I like to ask my clients to tell me about a time they made an impulsive eating decision. This helps me determine the triggers that influence their behavior. It also gives me the opportunity to ask them what they could do differently next time to make a better decision, which improves future compliance. 5. They educate their clients. 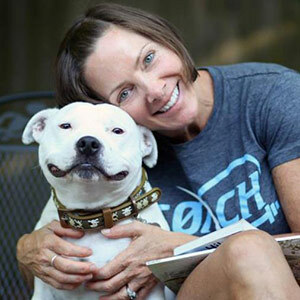 "If I give away too much advice, my clients might decide they don't need me anymore!" Sound familiar? Don't worry about it. If that was really the case, they wouldn't have hired you in the first place, because you can find all kinds of advice for free on the Internet. Explain things like anatomy, proper form and exercise selection as time goes on. Your clients might even share an interesting thing you said with a friend, which could result in a referral if you're lucky. 6. They don't use too much lingo. It might seem odd to mention this because I just told you to educate your clients, but hear me out. It's good to teach your clients, but you need to do so in a language they will actually understand. I know you can point out the latissimus dorsi on a diagram of the human body, but the average person can't even pronounce it. Just call them "lats" and make sure your client understands the important that they are the broadest muscle group on your back and should be activated during exercises like rows and chin-ups. 7. They provide homework assignments. Your clients don't live at the gym. Their lives can't revolve around fitness, because they have a lot of responsibilities. It's hard to find the time to prepare healthy meals when you're a single parent or a busy professional. You need to understand this struggle, because your clients' results depend on it. A little bit of exercise couldn't possibly make up for a whole lot of poor eating decisions. Give your clients some "extra credit" assignments they can do in between sessions. For example, there's a book called "Fix, Freeze, Feast" that teaches people how to cook in bulk. 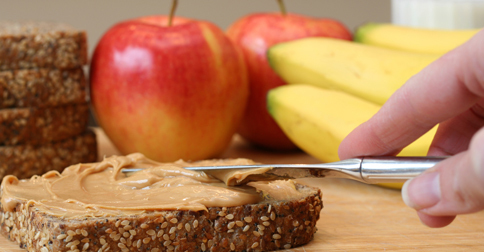 It's a lot easier to prepare healthy meals when you can limit cooking to one day per week. If I have a client whose most common excuse is a lack of time, I ask them to read this book. Then, I ask them to pick out five to 10 recipes that sound healthy and tasty. If they have children, I ask them to involve the kids in this process (because they must be on-board with the idea for it to be sustainable!). Identify the most common struggles of your clients. Find some books and articles that involve that subject to use as inspiration for your own homework assignments. To learn more about becoming an ACE Certified Personal Trainer, visit our site here. 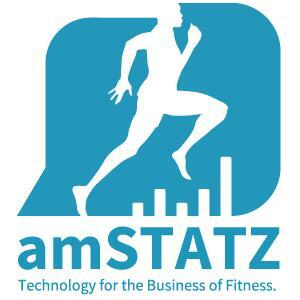 amSTATZ is a cloud-based software for fitness professionals who want to save time, stay organized and grow client relationships. Unlike traditional fitness business software, amSTATZ streamlines your business starting with a simplified booking & payment process, all the way through to the workout homework you assign to clients. Trainers' clients get a free account, where they book & pay for services, track workouts, set goals, and retrieve their homework. amSTATZ was founded in 2011 and is based in Chicago, IL. ACE Certified Professionals get their first 30 days free, courtesy of ACE, 15% off for life after that and 1-on-1 coaching as needed. Get started today at www.amSTATZ.com.